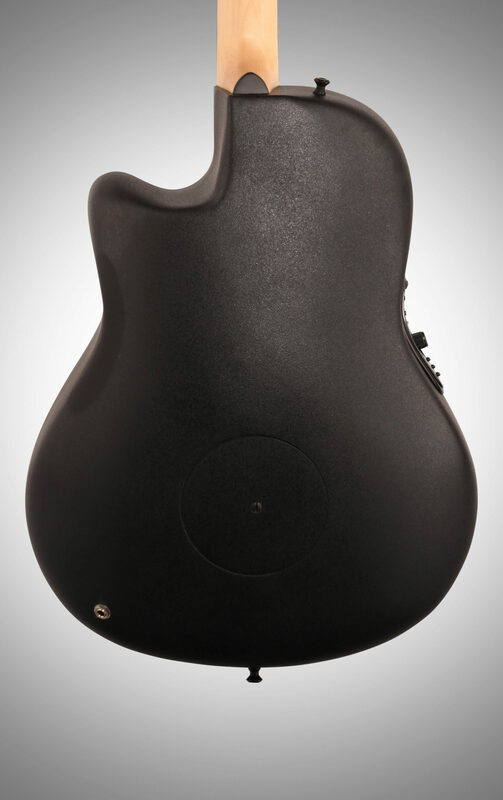 Designed to deliver fat, chunky tones in today's popular baritone and drop tunings. 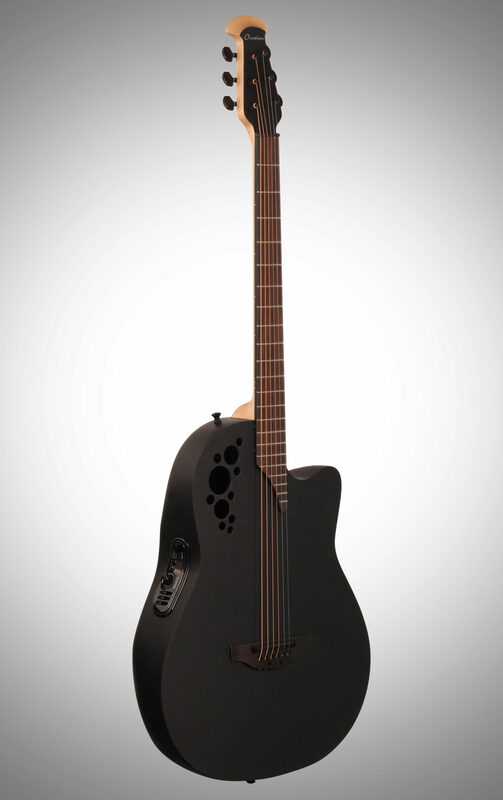 The Ovation D scale guitar is a true one of a kind. It's not your standard baritone. 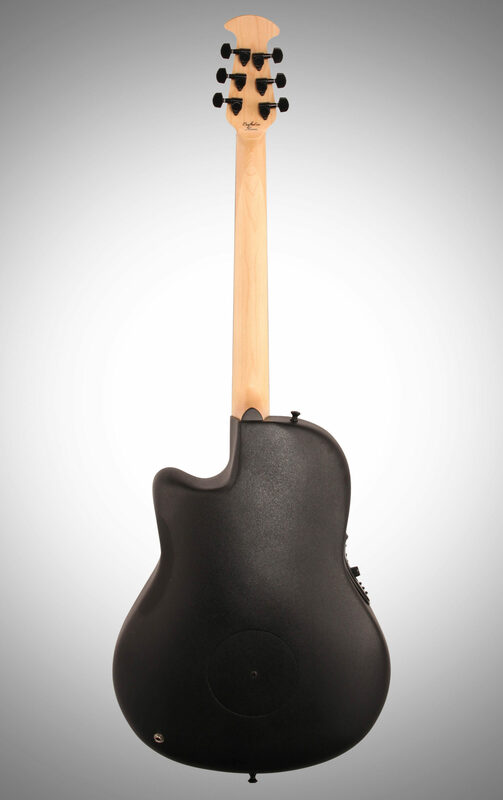 Tuned a full step lower to D-G-C-F-A-D, this guitar will fit easily into any style of music. Just capo the 2nd fret and you've got a standard-tuned acoustic. Take off the capo and you've got a whole new instrument. The D scale will open up a world of possibilities for open tunings. 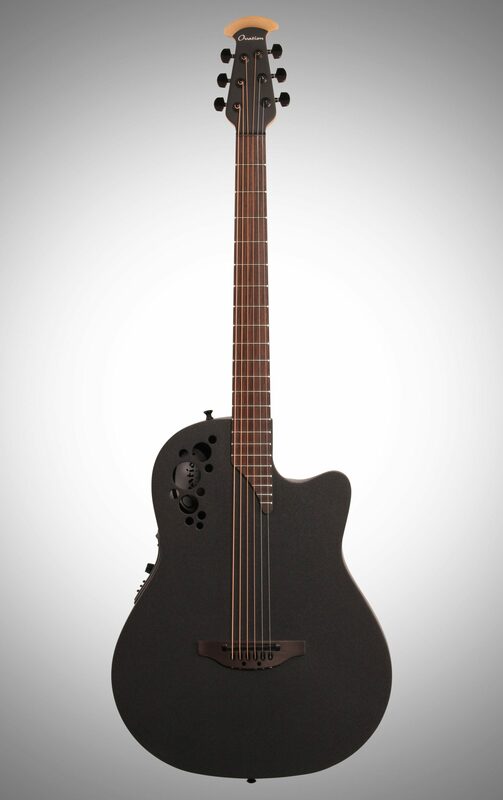 With a scale length of 28 1/3", this guitar achieves the voicing of a baritone with the playing ease of a standard 6-string. The top is made of solid spruce with a lightweight textured black finish. 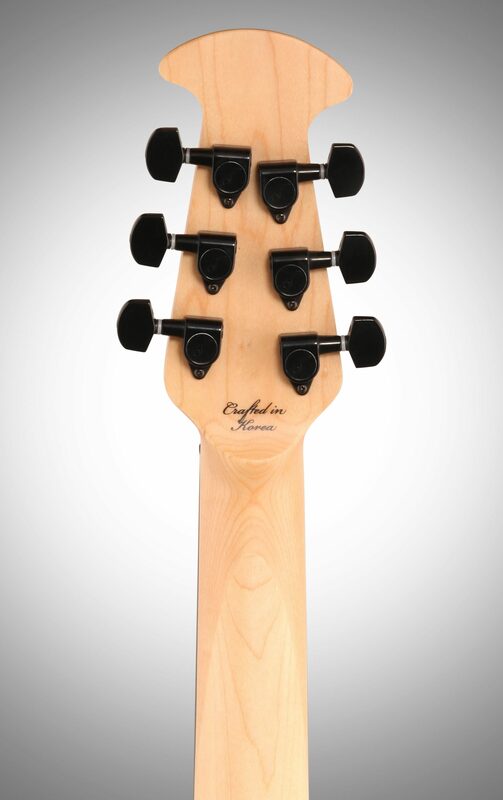 A thin finish, along with scalloped bracing, maximizes top vibration and sustain giving the D scale a clear tone advantage. 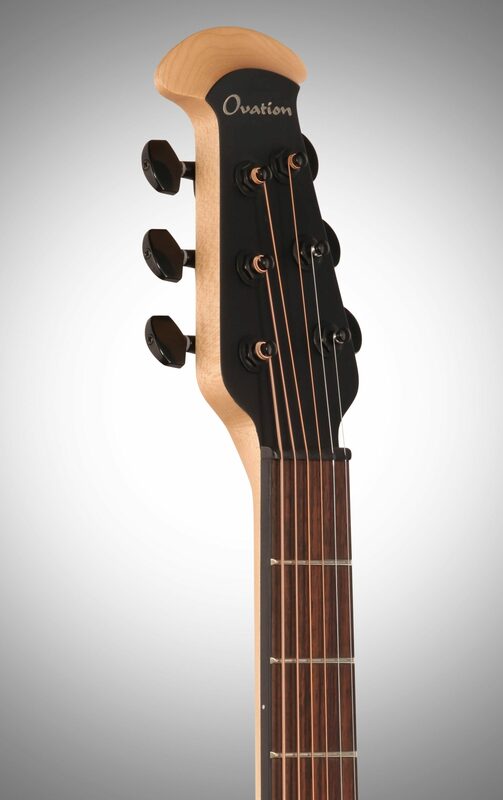 The D's neck is made from rock maple and finished in natural stain. This neck ain't bashful. The D scale is topped off in pure Ovation style with an OP Pro preamp and is mated with the Ovation high output pickup, which provides even string-to-string output with any string gauge and any open tuning The Mid-Depth bowl blends elements of Ovation's Super-Shallow and Deep Bowl designs. Acoustically, the Mid-Depth bowl delivers impressive projection and rich tone, yet even smaller guitarists find it comfortable to hold and play. 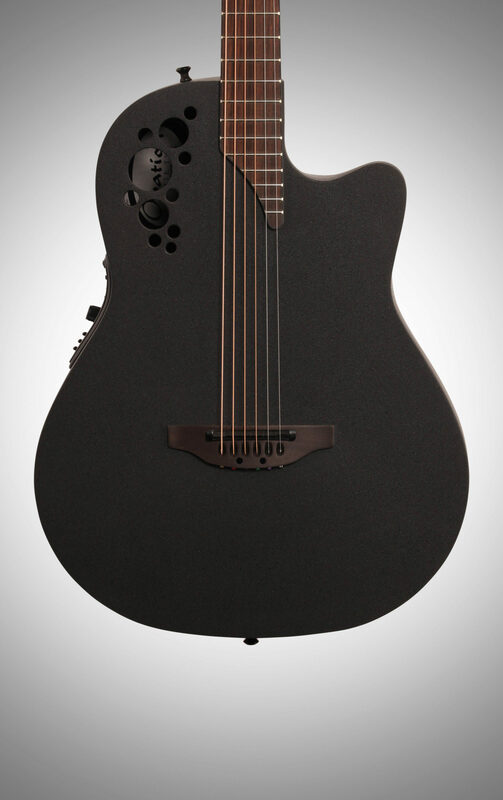 Designed in collaboration with jazz guitarist Al Di Meola and acoustic rocker Melissa Etheridge, the OP-Pro combines state-of-the-art audio quality with exclusive features designed to meet the needs of professional guitarists. The easy-to-operate unit offers 3-band EQ, a preset tone enhancement circuit, a battery status light, and a chromatic tuner. The OP-Pro will please even the most discriminating player. 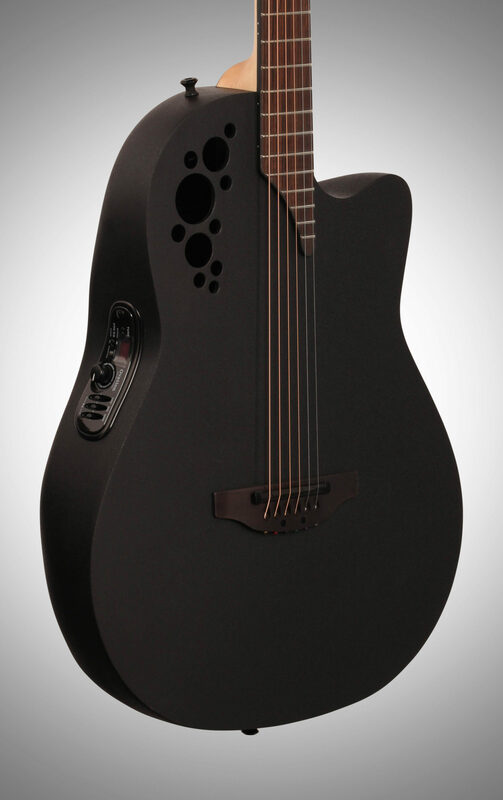 zZounds is an authorized dealer of Ovation products. close [x]More ExpectedWe have been given a date of May 13 for the arrival of this item. This date is not guaranteed, rather an estimate based on either information obtained directly from the manufacturer or historical delivery data for the specific manufacturer.